The new Nightly Show confronts PC. Just when the storm over political correctness seems about to burst—a storm stoked most recently by Jonathan Chait’s New York magazine piece accusing the left of virtually censoring free speech (Michelle Goldberg nicely dissects Chait’s arguments here)—Comedy Central has debuted The Nightly Show with Larry Wilmore. And damned if this show, more or less from the left, isn’t designed to confront just those PC pieties. But the show’s format and Wilmore’s style—he’s as easygoing and open-minded as Colbert’s character was intense and rigid—defy the Chaity caricature of PC. In that first show, Wilmore laughed at Al Sharpton running to protest the Oscar snub of the movie Selma. “Al, Al, Al, you don’t have to respond to every black emergency,” he said. “You’re not a black batman.” Then he asked, point-blank, “Are we protesting too many things here?” Still, Wilmore clearly believes in activism; he zeroed in on recent protests that he believes have produced results: the climate change demos in September that, he says, helped the US and China reach a climate accord; nationwide minimum-wage protests that led to twenty-one states raising their wages. 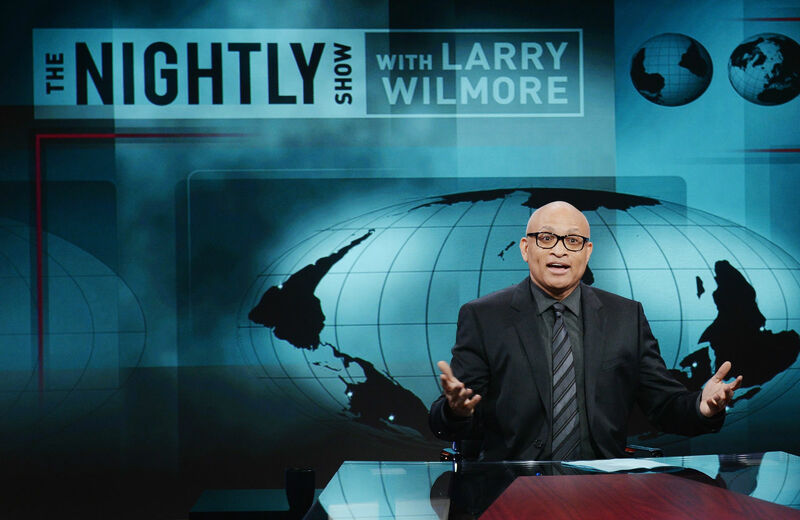 The Nightly Show seems consciously designed to laugh at the confusions and mystifications that ideological identities, left or right, trail in their wake. The show’s format more closely resembles Bill Maher’s show than Jon Stewart’s or John Oliver’s: After a Wilmore monologue (the only really scripted part of the show), Larry convenes a panel of four different guests every night to discuss a single topic. The panel is a combo of comedians, journalists and people who have some sort of relevance to the topic, like a former sniper when Wilmore focused on controversies over American Sniper, or an anti-vaxxer on measles night. The set-up can, but doesn’t always, kindle conflict. The show’s signature segment, called “Keep it 100” (as in keeping it 100 percent real), is meant to step on the cracks in a guest’s political identity. The questions—many are versions of “Would you do X for a million dollars?”—can be silly. And the gimmick of handing out stickers for the guests who’ve kept it 100, or teabags for those whose answers were “weak tea,” could quickly become tiresome. But Wilmore does tease people to come out of their ghettos for air, and not to take ethnic and ideological identities so seriously. Who knows what Larry would ask Jonathan Chait? But it might be something like, If you knew you had to invade a country to take revenge for 9/11, would you pick one that had something to do with the attack, or one that spells its name with the letter Q without the letter U?